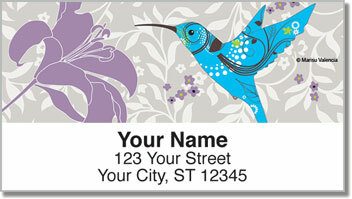 Have you ever seen a hummingbird and wondered at its gorgeous plumage? If so, you're not alone. Early Spanish explorers for the New York saw these gorgeous birds and named them "Joyas Voladoras" which translates to "Flying Jewels." 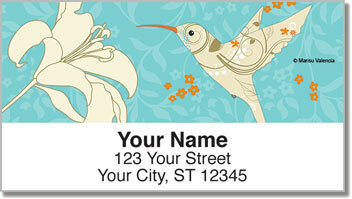 Never has the name been more fitting then on these address labels featuring the art of Marisu Valencia. 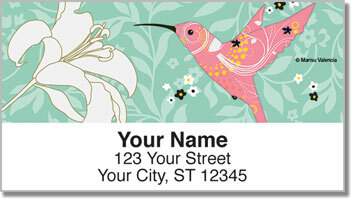 In her whimsical yet sophisticated style, we see the true potential and the true glory of this amazing little bird. 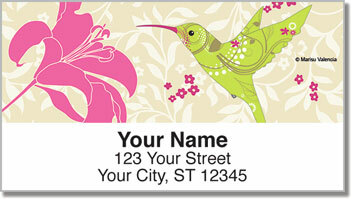 Order our Floral Hummingbird Address Labels today and get shipping absolutely free.